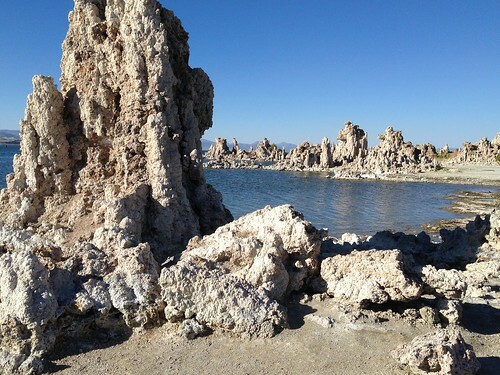 In geological term Tufa is common limestone. 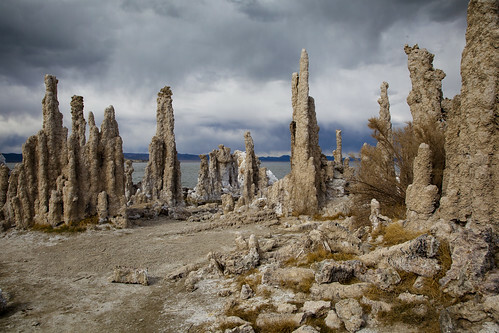 The Tufa towers are found at quite a few locations around the word and generally remain underwater, and some grow to heights of over 9 metre (30 feet). 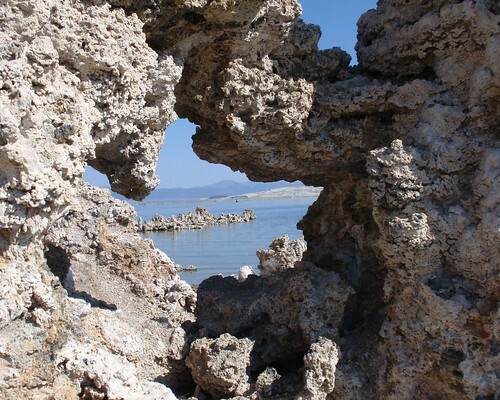 The Tufa towers are formed when underwater springs rich in calcium mixes with the lake water rich in carbonates. The chemical reaction of calcium coming in contact with carbonates results in calcium carbonate i.e. limestone. 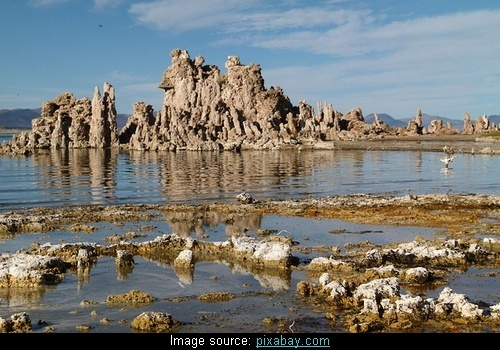 Over few centuries the gradual precipitation of calcium carbonate results in a Tufa Towers. 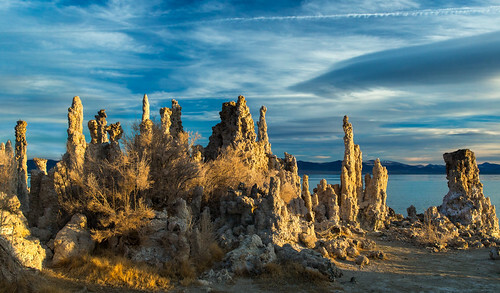 Main reason for these remarkable towers rising above the waters of Mono Lake in California, is the dramatic drop in water level of of Mono Lake due to diversion of Mono Basin water in 1941 for supplying water to Los Angeles. By 1982 the lake was reduced to 69 percent of its 1941 surface area and by 1990, the lake had dropped 45 vertical feet and had lost half its volume. 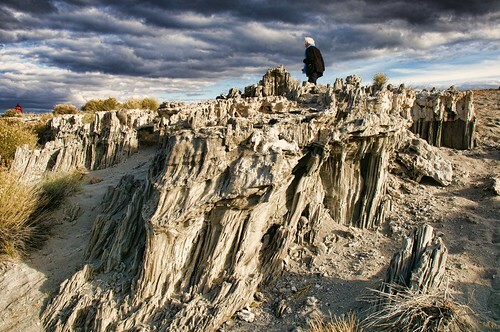 Due to this man made drop in water levels, the alkaline sands and formerly submerged Tufa towers became visible presenting a remarkable forest of towers in many shapes and height. The lake is now a protected area and a tourist spot. Its a delight for photographers.